Marco heard a clamour of boys' voices, and he wanted to see what they were doing. ..Half-way to the street's end there was an arched brick passage. The boys were not playing, but listening to one of their number who was reading to them from a newspaper. [later the boys are drilling] "Form in line!" ordered The Rat. They did it at once, and held their backs and legs straight and their heads up amazingly well. Each had seized one of the stick guns. He put the dozen lads through the drill as if he had been a smart young officer. And the drill itself was prompt and smart enough to have done credit to practised soldiers in barracks. It made Marco involuntarily stand very straight himself, and watch with surprised interest. observations: Rich Westwood at the Past Offences blog chose 1915 for this month’s meme – see all the details here. Crime novels weren’t nearly as common then, and I was casting around for something to read when I came across this book, which was a childhood favourite. It’s not crime, but it is certainly a good strong adventure thriller, in the tradition of John Buchan’s 39 Steps (also 1915) or Anthony Hope’s Prisoner of Zenda. There is a mystery or a secret at the heart, but if anyone (including the children at whom it is aimed) doesn’t guess it by about page 50 I’d be surprised. Marco is 12: he and his father Stefan have been wandering round Europe for as long as he can remember. He knows that they are actually Samavian, but cannot return there because of the political situation and warring factions. Samavia is an invented Ruritanian/Balkan state, as much loved in books of the first half of the 20th century. (Agatha Christie invented one for her early thrillers and then kept changing – or, one suspects, forgetting – its name). Marco and his Dad are patriots and have ‘warm Southern blood’. Eventually Marco realizes that his father is working towards a better future for Samavia – if only the Lost Prince could be found to take over the throne! Meanwhile Marco and his new friend The Rat play war games and ‘practise’ for a role they might play in the rescue of the country. Then a message needs to go out, and Marco and The Rat set off: they will be unnoticed as poor children in rags, and can go to the great cities of Europe, and in each place seek out a local Samavian supporter (who might be anything from a shop-keeper to the Chancellor), a member of the Secret Party, and pass on the message: ‘The Lamp is Lighted’, to start the revolution. Quite honestly, if that plot doesn’t thrill you to the marrow, then you are not worthy of this book – I loved the idea when I was 10, and I love it now. It’s like a cross between John le Carre and Rudyard Kipling’s Kim. It is by no means a perfect book – I could have done with a lot less of the unquestioned social stratification and the grovelling of the lower classes to the toffs. I quite hoped for a workers’ revolution in Samavia, but that was never going to happen. As a 1915 book for Rich’s meme it shouts out (as no doubt many will) as a book that was published then but had been written before the outbreak of the First World War in 1914: as I say above, it was quite unquestioning about life, and the future, and politics, and the excitement of war. 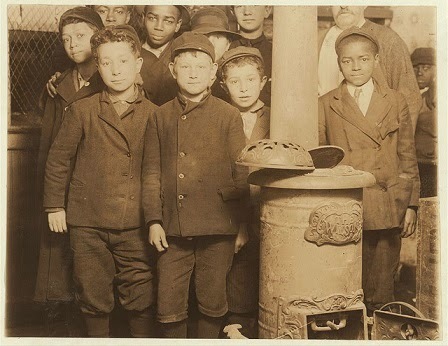 1910 newsboys from the Library of Congress. 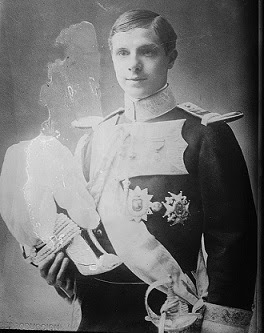 Prince Lois Ferdinand d’Orleans, also from Library of Congress. Plenty more Francis Hodgson Burnett on the blog – click on the label below. I loved this book too and I like your notes about it. oh how nice! I don't think I've ever come across anyone else who has read it. Moira, love the plot, I do. There's adventure and intrigue and it all sounds like quite a charming story. I wonder if the book would have been classified as YA or Fantasy had Burnett written it in 2015. Yes, FH Burnett missed her historical moment I think, she would have done well in an age with YA novels. Sounds a bit (but not much) better than my 1915 read, I do hope next month's choice isn't 1916 or 1917 or 1918...... these earlier books just don't do it for me. I can't see you reading this one, but honestly, it was terrific fun....But I do agree, we need to force Rich to go later in the century. More choice needed! Yes, it is clear what the end will be, but who cares? It sounds wonderful. Moira: If you can reach a favourable comparison for the book using Kim as the example I am convinced it is a good book. I loved Kim as a youngster and appreciated it just as much when I re-read it a few yeas ago. I read this last year and kept thinking about how short-lived the restoration of Samavia probably would have been under the circumstances - I really wish I'd read it as a child. The streets of London bit was so good too - and the hell of other children as preparation for war. I should have known you would have read it. You didn't review though? When I was reading now I was convinced something terrible was going to happen at the end, I had some memory of romantic sadness, y'know, Marco has to step up etc. Completely false, which is odd, perhaps I just did feel sad about its being 1914/15 - though that sounds unusually sensitive for me. I think 'the hell of other children as preparation for war' is going to be my sentence of the week. British schools - particularly private and boarding - were always supposed to prepare you for - in the words of one friend - '6 months in the Burmese jungle, or prison'. But they're probably all soft and easy now. Sounds like an interesting book about that time in history, but not for me. The images are interesting too. I had difficulty finding a 1915 book for Rich's meme, but I'm glad now because I really enjoyed reading this one again.